I'm greatly enjoying the CGI event this week in New York. Many great social entrepreneurs running around along with the world leaders (and of course, Angelina Jolie). I've been taking a fair number of pictures. 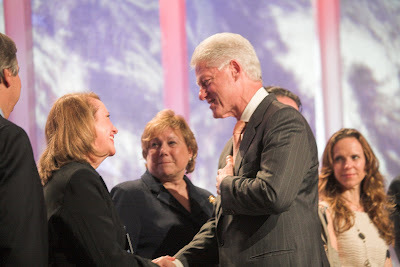 Clinton has a great talent for making everybody feel like they're important: I liked the way he interacted with Vicky Colbert, the great education social entrepreneur from Colombia.